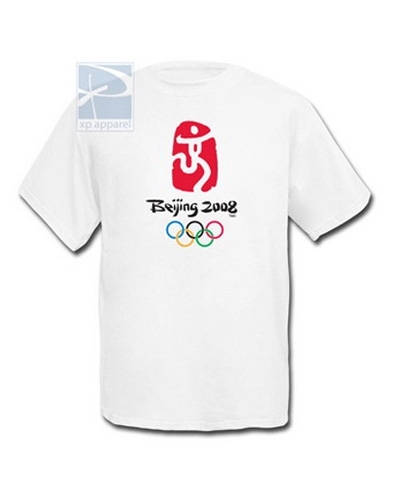 Beijing 2008 Olympic Tee printed on the front of a 100% preshrunk white cotton short-sleeve T-shirt. 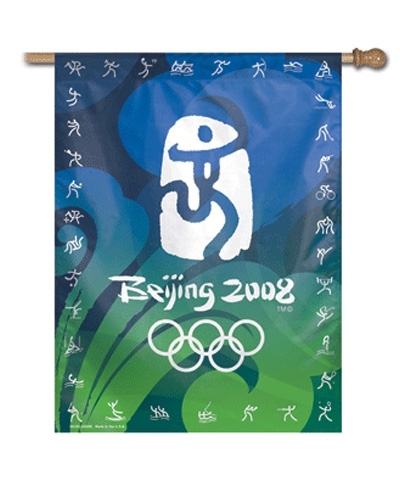 The logo symbolizes an athlete running to victory against a red backdrop and also is the Chinese character for "jing" the second word in Beijing, meaning "capital". 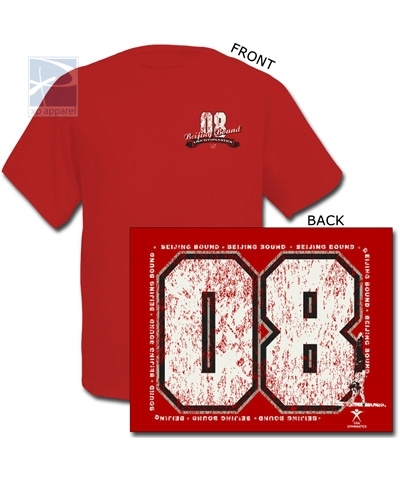 The five rings represent the five major regions of the world: Africa, the Americas, Asia, Europe, and Oceania. Every national flag in the world includes at least one of the five colors, which are (from left to right) blue, yellow, black, green, and red.